Technology has greatly changed the dynamics of the world. Great leaders know how this impacts the business and therefore, learned to adapt with it. Taking the two together is best-selling author and keynote speaker, Erik Qualman, as he talks about the concept of digital leadership. Known as Equalman, the Digital Dale Carnegie, and The Tony Robbins of Tech, Erik shares how he has grown in his life by changing his mindset along the way and starting to look at how life happens for you and not to you. He believes that even failure has to be done right. 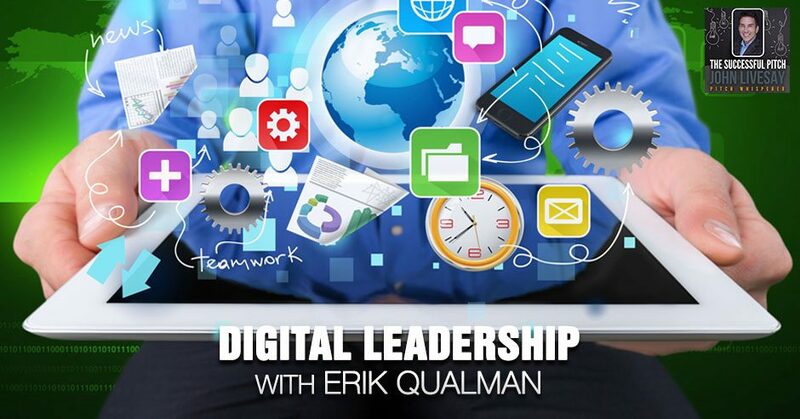 Erik gets down into his work with Digital Leader, the superhero concept he has created a brand around, and why you should set a laughable goal. He reveals his secrets on what it means to give digital hugs especially in a world where it is easy to become impersonal. Our guest is Erik Qualman, who’s often called a Digital Dale Carnegie and the Tony Robbins of Tech. 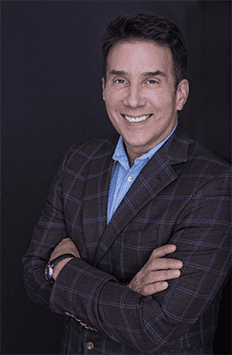 He is a number one bestselling author and a motivational keynote speaker who’s spoken in over 50 countries and reached 30 million people. His Socialnomics work has been featured on 60 Minutes to the Wall Street Journal and has been used by the National Guard to NASA. His book, Digital Leader, propelled him to be voted the Second Most Likable Author in the World behind Harry Potter‘s JK Rowling. Qualman was formerly a sitting professor at Harvard and MIT labs and he’s also the owner of an animation studio. Erik, welcome to the show. Thanks for having me. It’s an honor to be here. I fell into it backward like a lot of people. I’ve been in the tech space for many years. I grew up in Detroit. Like a lot of kids in Detroit, you go and work for the automotive industry. As an intern, I was working with Cadillac. Part of my job as an intern was to write the meeting notes. I go to the meeting, write out the notes, print them, put them on people’s desks and they had a thing called interoffice mail which had a little red string on it. We’d send that out. Each meeting took me about two hours to produce this. Crazy enough for a lot of your audience out there, email was brand new at the time. I said, “I wonder if I can send an attachment instead of printing these. Can I attach this to this thing called email?” There wasn’t Google. It took me a while to figure it out, but I did. Instead of taking two hours, it took me five minutes. I sent out the note and then the next thing I know, the CEO of Cadillac is standing right next to me. I’m going, “This guy is super pumped. I’m going to be in the executive suite here soon.” I quickly realized it was my time to explain why I should keep my internship. I went, “To save two hours of my time,” but I could tell by the look on his face he didn’t care how I spent two hours of my time. The second thing I said was, “This saves the environment. We don’t have to print the paper.” Remember this was the ‘90s. No one cared about the environment. Last but not least I said, “I can track this if someone saw it.” He goes away. I saved my internship. A couple months later, they come out with these things called websites and the CMO is talking to the CEO going, “We need this thing called the website.” Try to explain that before they exist. It’s a mission impossible so the CEO goes, “I have no idea what you’re talking about, but go talk to the kid on the first floor.” Keep in mind that your email address is normally your first initial and last name. As Erik Qualman, that becomes EQualman. He goes, “Go talk to the kid on the first floor that thinks he’s a superhero. Maybe he can get us this Cadillac.com thing you’re talking about up front.” It’s been a long ride. I love it. That’s how we fell in it backward, a kid born and raised in South Detroit. We went from there. That superhero concept is something that I want to explore because you’ve created a whole brand around it. Tell our audience what the significance is about being Equalman and the colored glasses that you wear and how that makes you memorable and unique. We do this shoot. I don’t think much of it. A couple of weeks later, I go to Kenya to speak. The night before I’m going to adopt a baby cheetah at a rescue shelter, not to take home but to support the local community. Ironically enough, the day before, Usain Bolt the Olympian, the sprinter had adopted from the same litter. As we drive over to the rescue shelter, the lady that’s with me says, “If you don’t mind, we’re going to film a lot of this because it’ll help promote the shelter. We had Usain Bolt here yesterday and we filmed him. We’re going to splice all this together. For the video, we’d like you to have your green glasses on.” I looked at her and I said, “I don’t wear those green glasses every day. I look like an idiot walking around wearing green glasses like that everyday day.” The look on her face was that of disappointment. She said, “Everyone in Kenya, that’s what they think that you look like.” I never wanted to see that look of disappointment again. Over time, we’ve started to wear them more. Almost all the time I’m wearing them because it’s turned out to be good for business. We lose some business. We don’t want that, “That guy looks a little quirky,” but then we gain a lot more. Crazy enough we’re in the business of producing these green glasses because I’ll go and perform. There are 2,000 people in the audience and they go, “We want to have some fun. We want to have a big photo opportunity. Can we get some of those green glasses?” Originally, we pushed them to Amazon. Over time, Amazon can’t handle these large orders. Now we’ve become producers of these bright green glasses. It all works out for you in the end. We completely have stepped into being my true self and it’s been learning and a journey for me that help my audiences to say, “You got to step into that discomfort.” Every day I now walk in discomfort wearing bright green glasses. Sometimes I forget I’m wearing it and then people are looking at me strangely. I go, “That’s right. I’m wearing these bright green glasses.” It’s a very long story to say that my cheetah is much faster than Usain Bolt’s cheetah. The entrepreneurship of making the glasses for your audience is a fantastic full circle there. You said, “Things happen for you, not to you.” Did I hear you correctly? A lot of us wake up and there’s going to be this challenge every day. With time, it might be a couple minutes, it might be a couple of minutes, a couple of days, sometimes it might take fifteen years, but you can look back and go, “It’s happening for me. It’s not just so I could be made fun of. This thing happened for me, not to me.” Once you change that lens and mindset, your day-to-day is going to be much better. Another example was the disappointment on that woman’s face when you said you didn’t want to wear the glasses. You thought, “That’s not happening to me. It’s happening for me if I embrace this.” Now you’re selling glasses. You don’t need glasses to see. They’re not prescription? Are they plain glass? Here’s a tip for everyone that’s out there that’s a speaker. Everyone’s a speaker, whether it’s the size of one or size of 10,000. I do wear corrective lenses. I normally have contacts in. I do also wear glasses. The bright greens, we’re trying to figure out how we get bright green glasses and high-end glasses, but that color is hard to come by. It’s only replicable in plastic. On stage, I wear my contact lenses for a couple of reasons and a lot of this is to learn the process. I didn’t know this until we started doing it. Number one, you don’t want to reflect the light back on the audience because it’s going to refract off your lenses when you’re wearing glasses. Secondarily, if they’re taking photos or video of you, it’s a lot crisper when people can see your actual eyes. They can relate more not only the audience there but also the audience that’s abroad when you’re being filmed. Last but not least, as you exit the stage and you’re doing a book signing, there’s going to be in this day and age a lot of selfies being taken or photos being taken with the people that are getting their books signed. The picture is much better when you don’t have the lens in your glasses. I want to ask you a few questions about your book, Digital Leader. You have something in here that I love, an acronym. Fail forward, fail fast and fail better. Can you give us a little sneak peek on what that means? Fail fast, another synonym for that is to fail cheap. If you’re going to fail, you might as well do it in an hour. That’s much better to do it than six months and it’s going to be cheaper. If you’re going to fail, which we all should, it’s all part of a learning process. The misnomer, because everyone’s like, “Fail, fail, fail.” You’ve got to do it the right way. That’s why I always say, “Fail fast, fail forward, fail better.” The second one is to fail forward is to evaluate that failure. For those that are into music or have grown up doing sports, there’s the old adage that practice makes perfect which is completely false. Evaluated practice leads to progress. If you don’t evaluate that practice, then practice leads to permanence and probably permanence in the wrong way. It’s about evaluated failure. Fail fast, which makes sense. Fail better is you got to evaluate the failure, which for most of us that goes against their DNA. You want to sweep it under the rug. With teams at work, they’re not your best buddies. They’re friends. It’s uncomfortable to be like, “John did this or Jim, Kelly, this totally didn’t work,” and what you do is you don’t evaluate it because it’s uncomfortable. If you evaluate it then you can fail better, meaning you’re not going to repeat the same mistake twice. The key though is the first two tenets then they lead to the third. That’s what it’s all about. It’s being fail fast, fail forward and fail better. Failure does lead to learning. Failure’s a part of the process but you’ve got to do it the right way. That is the secret there because I know there’s a lot of fear of failure and I tell people to look at it as feedback. Your concept here of evaluated practice leads to progress. When there’s death in hospitals, the medical community has a process where they will have a meeting to see what went wrong without pointing fingers. To see if they did something in the surgery that caused that patient to die. A lot of sales organizations could benefit from this concept of failing forward. If they could create a safe enough environment where people were not pointing fingers at what caused a sale not to happen. They can learn from it so they don’t keep making the same mistakes when they pitch. You mentioned the willingness to have fun and with the glasses. One of the chapters in your book is to set a laughable goal. Can you tell us an example or two of what a laughable goal is and how we might be able to do that? I will tell you my laughable goal because the more I repeat it, the more likely it will become an outcome or it’s reminding me too that, “This is what we’re trying to do.” My laughable goal is to create the next Disney World. It’s to have an actual park, a physical location. Families come in there. It’s more educational-based. There’s still entertainment, but when they leave they’ve been educated. It’s taking that Disney 2.0. I love Disney. I love Disney Parks. If Walt Disney were to arrive, come back and walk around Disney he’d go, “This is all you’ve changed? This hasn’t changed much.” It’s a wonderful place. It’s the happiest place on earth. It’s about taking the amazing stuff that they do and doing it 2.0. Whether in the marathon we may get to Mile 11, Mile 14, it’s about getting to hopefully that 26.2. As it relates to that, the other laughable goal is that we want to entertain, educate and empower seven billion people this decade. In our minds, that is setting the bar low because there are more than seven billion people and there’ll be more than seven billion people when we look out many years from now. It’s about setting it out there. That goal has to be laughable that most people you’d tell, the first reaction is that they laugh. Those that don’t continue to laugh are the ones who are going to help you get there. Digital Leadership: Those that don’t continue to laugh at your laughable goal are the ones who are going to help you get there. Sometimes when we have a goal, we’re afraid to share it because people will think we’re crazy or who do you think you are to have that goal. I remember the first time I said out loud to somebody that I wanted to give a TEDx Talk I did a little bit of a gulp. Instead of saying, “That’s never going to happen or you’re crazy,” the person I happened to mention it to said, “I know someone who organizes the ones in San Diego. Let me put you in touch with him and he can give you some tips.” It’s that willingness to be laughed at when you state a goal, however big or small it is that is important in your career. Whether you’re running your own business or working for someone else. It allows people to align with you and that’s how it becomes a reality. 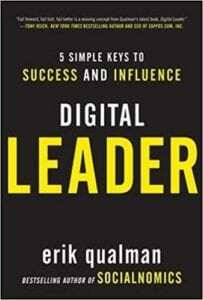 The other thing that intrigued me about your book, Digital Leader, is a digital hug. What is that? I’m guessing it’s more than an XO at the end of your email. More and more now with everyone adopting the emojis, but it’s about understanding that these digital tools are not designed to replace face to face. There, one time and distance is an issue. The beautiful thing about these digital tools is they allow you to scale more than ever before. As much as you are able to are you can give out digital hugs? How do you promote someone else digitally? How do you shine the light on some cool stuff that people are doing in the community? It’s about giving that love out there as much as possible. One thing, for example, is let’s say you’re going to write a thank you note. You write a handwritten thank you note. The digital hug version of that is you take a picture of that thank you note and also send an email in case it gets lost in the post office. That person gets it real-time and they’re more active to respond as well. If they get a note in the mail, it’s great. It makes them feel good, but they’re probably not going to hand write a letter back to you. It’s about understanding that you can’t replace a physical hug, but as much as you can get to scale with the digital hugs. Certain words and the way you frame things in your emails convey warmth. You certainly do that. I noticed that the people on your team do that. Do you have any tips on how people can not make email cold and impersonal? We’re not perfect at this and I wrestle with it all day. Keep in mind that sometimes I have to pause and go, “Am I being a jerk here on certain things?” You get wrapped up and you’re like, “Why isn’t this moving as fast as we’d like?” What helps me is I constantly try to take pauses and ask myself, “If I were to receive this, how would I like to receive it? What is interesting?” A lot of the readers out there in sales, what’s intriguing is can I make this person feel a kid again? Can I ask them a question that will provoke thought within and it makes it more fun? At the same time, can I give them some personality? It could be the holidays are coming up. What was the favorite toy you ever received from Santa Claus? I’d sit back and there’s probably one that pops in their mind and they immediately come back. Even if they don’t respond, it’s caused them to think. They’re going to think about that question and then you tell them what you enjoyed it. It’s like, “I’ve got the Millennium Falcon,” whatever it is or, “I’ve got this Playmobil set.” Whatever it is you received, then you’re sharing a little bit of personality. They can relate to you. I remember mine vividly. Waking up Christmas morning and seeing a shiny red Schwinn bike all assembled in the living room somehow magically, an outdoor thing inside the house in the suburbs of Chicago in winter. Your mind was like, “How did that happen?” I can’t even ride it yet because there’s snow everywhere. Those memories come flooding back. What a great question and an example of pulling that together. Since one of your goals is to become the next Disney World, you’re well on your way with this animation studio. Can you tell us a little bit about how that came about and the kinds of clients you’re helping? I know you’re working with Disney ironically as well as Cartier. It’s been such a blessing. How it occurred is that for my first book, Socialnomics, I go, “I’ve been talking to a lot of these CEOs for an hour.” This was when social media was first big is when Myspace was big and then it was overtaken by Facebook, fortunately and got that right. In the book, Socialnomics, we said, “Facebook is going to be the killer here.” I’d sit there and the CEO goes, “I got it,” but they weren’t taking action. I go, “I need to do something different,” and the book’s coming out. I need to hit them over the head with a three-minute video about here’s why it matters and to scare them a little bit. We put this together. I was in Cambridge at the time. I grabbed some of the folks from MIT Media Lab. We put together this, this animated video. It also goes massively viral. Most importantly, it started getting people’s attention. People started using it to any meeting they went to go, “This is why this stuff matters or why it’s going to change the world with the way we communicate. Why it’s going to affect elections. Why it’s going to change the way we do business.” That’s how we got started. I started getting phone calls from these big companies and they’d go, “We love that video you produced or the videos that you’re producing for your books. We’d love if you could do one for us. Can you do that for us?” I go, “No, I do it for myself.” I didn’t think anything of it. By the third knock on the door, the proverbial knock on the door. For all the readers out there, don’t do what I did. You’re not going to get three knocks sometimes. I was fortunate to get that third knock. Finally, I said, “We have a whole studio. We’ll rock it out.” Even though it scared me to death, I go, “Can I deliver on something like this for a client?” and then away we went. It’s been great. Ironically enough, here’s the story with the green glasses. I was about to give a talk in the afternoon. I was in Nashville having breakfast. There’s a guy sitting across from me and kept looking at me. They finally came over and goes, “I saw you speak a couple of months ago.” I got, “Sit down.” We started talking about the Cubs. I’m a big Chicago Cubs fan. Long story longer is he’s connected to Disney. All of a sudden we got a call from Disney and they go, “We love your videos. We’d love for you to do a video for us.” I even said, “Why don’t you have the Pixar guys do it?” They go, “We like your story writing capability and it’ll be a little faster for you to do it. It’s a little different look. We want you to do it. You get from an outside perspective what we’re trying to do. We’re trying to showcase that Disney is a digital company.” I go, “Fantastic.” That’s how that transpired and it relates back to those green glasses. It’s been a wonderful ride. We take on clients like Disney, Cartier and smaller businesses sometimes. Even speakers, we’ve started to help some people with their speaking reels. Let’s hear about what that looks like. You animate speaking reels. You’re bringing 2D or 3D animation into a speaker’s sizzle reel? Are you creating any of these kinds of videos for authors? They’re almost one and the same when you think about it. Almost every speaker is now an author. Usually along those lines when it makes sense. We’re fairly expensive. We still primarily work with the Fortune 500, but we do small business as well. We’ve found it fun to work with a lot of these speakers as well since we’re in the business. You’ve given many wonderful keynotes around the world. You’ve met Barack Obama. Can you tell us one of your favorite talks and what made it one of your favorites? One of my favorites and one of the most interesting are one and the same. I was invited to present on digital leadership in front of 3,300 counterterrorism FBI agents. Not only was the background check interesting and I’m glad I cleared. It is intense. At the time it was Director Comey and it was during the middle of the election, during the middle of all this Hillary Clinton. A couple of things. One, we’re blessed to have all these agents. They’re amazing. To be on the ground and talk with them on a human level, because I’m scared to death like, “What are they looking up? 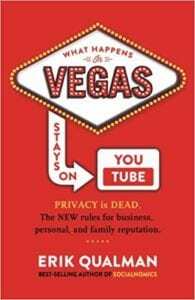 What do they know about me?” I wrote a book, What Happens in Vegas Stays on YouTube. I go, “These guys are probably digging.” Comey spoke on leadership and then I spoke on digital leadership. Can you give us the distinction between leadership and digital leadership for people who may be wondering? What’s the content different in a talk like that? The genesis of digital leadership, I’ve been doing this and I’ve been speaking over a decade. I’ve been paid to do it for over a decade. I’ve been fortunate to meet Malcolm Gladwell in the green room and Jim Collins. I started to see a pattern that the top three business books that everyone uses are The 7 Habits of Highly Effective People, Jim Collins’ Good to Great and Malcolm Gladwell’s The Tipping Point. I started to ask myself, “All these books are fantastic and these authors are amazing, great people. They’ve all been written before the iPhone existed, before Facebook, before YouTube, before Snapchat, before Instagram.” The world has changed. We live in exponential times. I’m sure leadership has changed, but the core is still probably there. We wanted to figure out what’s core? What’s still in is by 80% is still the same? 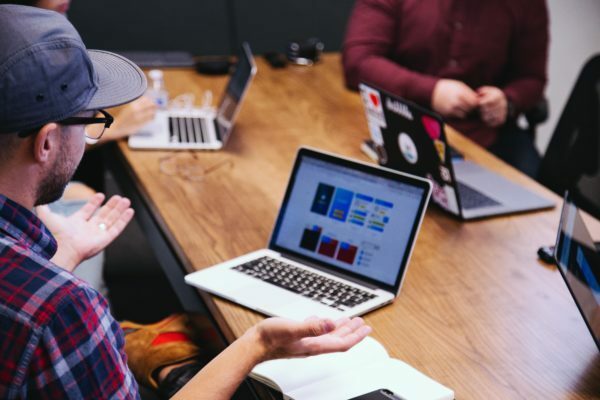 Digital leadership is that slight twist knowing we live in a hyper-connected world and that the communication is much different. That’s digital leadership. We profile a Howard Schultz. The good thing is digital leaders are made, not born. Howard Schultz came back as the CEO of Starbucks when their stock dropped to 2% during the great recession. He comes back from Chairman to be the CEO to run it day to day. He quickly realized that the world has shifted while he was away and he’s back in a day to day. He had to figure out how to become a digital leader. He takes that step and then by the time at the end of his tenure, all of a sudden Starbucks has taken the most mobile transactions of any company in the world. They are a digital company that happens to sell coffee. He was able to transform himself and that’s what digital leadership’s all about. He’s a good example of what it looks like. I remember the first time I went to Starbucks and I saw somebody buying their coffee with their phone and I thought, “Are they getting a discount? They want to do that for the convenience or the cool factor or the up?” It took that whole vibe of, “I’m part of the club and loyalty and all the things that make how people interact less friction.” The time flies by with someone like you who’s involved in many wonderful things. The insights have been tremendous from giving digital hugs to realizing that things happen for us, not to us and that we can learn to fail forward, fast and better. Any last thoughts you want to close with? A lot of the readers out there, they’re trying to figure out probably how to sell better. Everyone’s in sales no matter what you’re trying to do. Whether you’re trying to ask your boss if you can work from home on a Friday, whether you’re a kid trying to get a snow cone from your parents is that all of us are in sales. When we look at it in the digital world, people when they jump in need to understand it’s not about you first. It’s not about the selfie first. It’s about the unsolved. It’s about listening first, digitally. All of us in our DNA, I included, you jump on. Here’s why you need to get me. Here’s why you need to get my product. Here’s why you need to get our service. We’re the best. That doesn’t work. It doesn’t work offline and it doesn’t work digitally. When you think about the offline metaphor is if you went up to four people at a cocktail party, they didn’t know when they’re laughing. They’re having a good time. Maybe it’s a networking conference and they’re laughing, having a good time. You wouldn’t go up to them and tap on their shoulder and go, “Do you mind if I interrupt you and tell you why I’m great for the next five minutes?” We would never do that in the offline world, but when there’s no barrier digitally, almost all of us make that mistake. It’s about listening, interacting, reacting and then selling. It’s to sell last, listen first digitally. That’s a great reminder of all of us. Listen first, sell last. The analogy I always use is if you met somebody on a first date, you’re probably not going to ask them to marry you. A lot of us make that mistake in selling. We don’t do it in our personal life. Somehow we think, “You just met me. Would you like to hire me or buy my product or whatever it is?” without building a relationship first. The website is Equalman.com. We all know where that comes from. There’s even a logo that goes with it with the equal sign inside of a shield. There are the green glasses and great stuff. I’m sure people are going to be intrigued to look at your animation studio, hiring you for more keynotes and buying your wonderful book. Thanks again for being on the show. Thank you, John. It’s been an honor.